LeFort has played in a numerous variety of punk and underground “garage style” bands for decades *(which still shows, even through the harnessing of the rest of the technologies that make up this sonic landscape of pure inescapable dread), almost always as percussionist. But he was always a main songwriting contributor to those projects, having much more concise ideas for his own project. Upon finding a renewed vigor for music, C. LeFort became DI AUGER and began to release the material that was solely of his creation, writing, production, performing, and engineering. 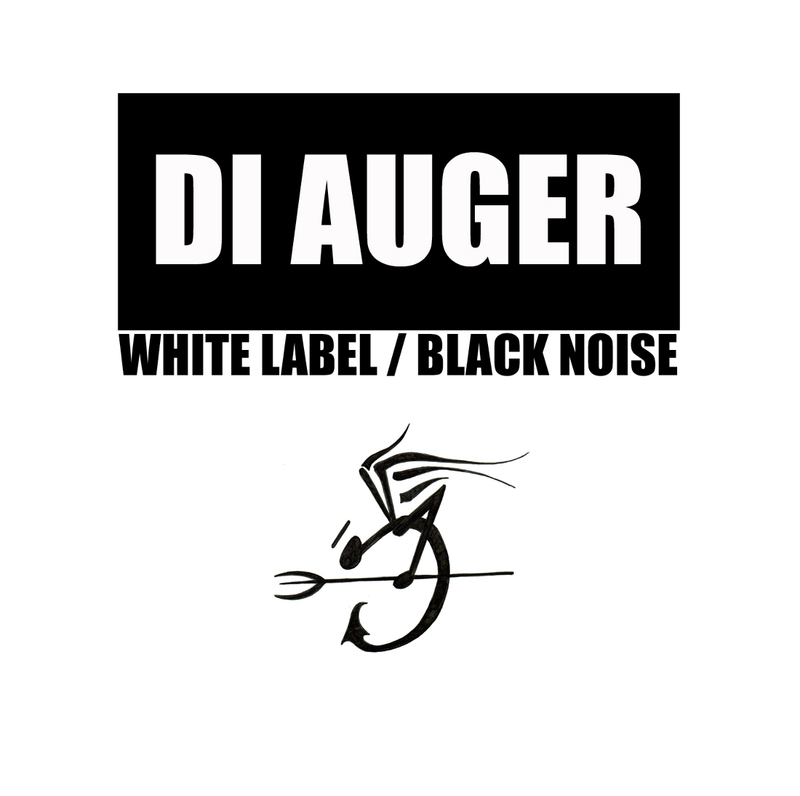 WHITE LABEL / BLACK NOISE is his third full length release under the DI AUGER moniker. LeFort’s production values are tops, and the time it sounds that was put into this album long and passionate, but the intensity it projects, stabbing you right in that ropey-dopey vein with rusty syringes of mainlined sound will henceforth leave you instantaneously hooked. Gothatronica forcefully yet so gracefully fused with the most brutal aspects of punk rock dystopianism, this is a MUST HAVE for Goths, Rivetteheads, and the Punk set alike. *(This, by the way, makes a perfect back-to-back listen with DOUBLE EYELID’s SEVEN YEARS lp). Support DI AUGER you selfish deadbeats. Go buy a copy of WHITE LABEL / BLACK NOISE, and prepare for the upcoming ruination of all. Remember kids, if those bombs begin to drop, just duck and cover. You’ll be fine. Links to DI AUGER’s music can be found all over the internet for download and streaming, and availability is expanding rapidly. Expect DI AUGER to be available via iTunes, Amazon Music, Spotify and a multitude of other platforms by mid 2015. Currently BANDCAMP, CD BABY, SOUNDCLOUD and YOUTUBE offer a fair sized collection of DI AUGER’s works to date. Previous DI AUGER releases include SIX PLAYS ‘TIL DOOMSDAY and the sister album HORSE STORM RISING. 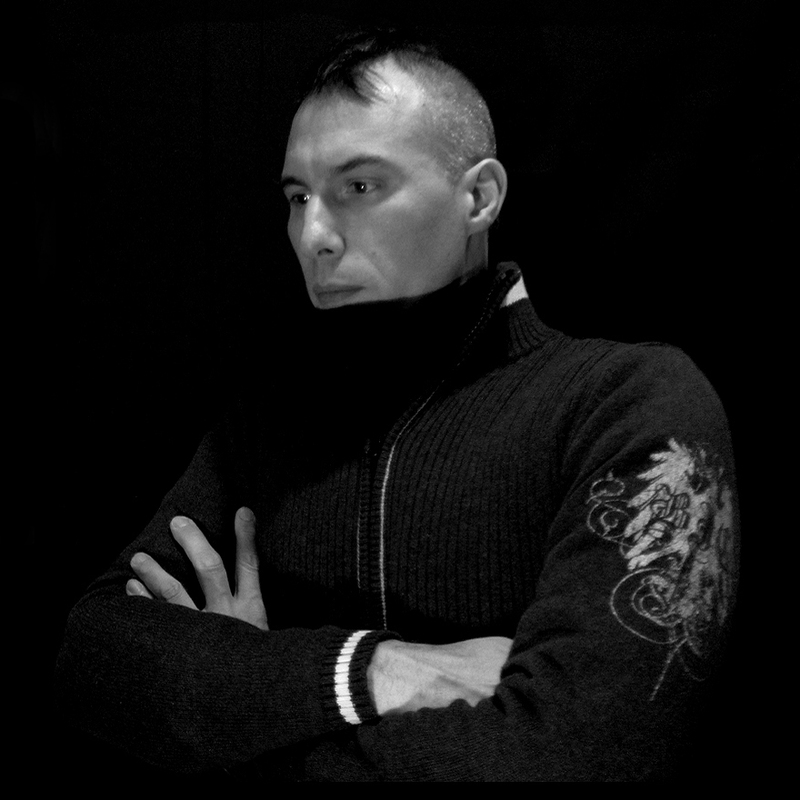 DI AUGER is currently releasing his fourth album/EP QUADRAPUS, and his fifth release SILENTIUM, in the year 2015, and has plans for a double album release on October 31 entitled BLACK SWANS AT DAWN.